A waterfall payment is a payment system that allows debtors pay higher-tiered creditors their full interest and principal first before lower-tiered creditors receive their own principal and interest payment. Debtors usually structure this mechanism into tranches in order to prioritize and finance the loans with the highest debt obligations, principal and interest inclusive. The idea is that most expensive debts should be serviced first. In July, 2017, Cabinet approved the implementation of CWM as a new revenue distribution system to address the increasing legacy debts in the energy sector. This mechanism is part of a wider strategy to ensure an equitable distribution of energy sector revenues to all stakeholders in the value chain as the ministry plans to put an end to the practice where some power producers are given priority over others in terms of financing. Some experts in the energy sector have asserted that this type of mechanism is effective for companies and entities servicing more than one loan. 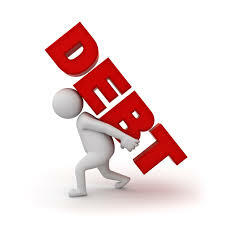 The legacy debts themselves in terms of the total portfolio include all the energy sector agencies including Tema Oil Refinery (TOR), Volta River Authority (VRA) and Electricity Company of Ghana (ECG) among others. Currently, a total of Gh¢4.78 billion out of over Gh¢6 billion of the legacy debt owed by VRA, representing 80 percent of the amount has been paid by government. However, this payment only reflects on the total debts accumulated by the VRA alone and not the total sector debts. Briefing the press, the Minister for Energy, John Peter Amewu reiterated the commitment of all the stakeholders in the sector to clear the debt to enable all agencies under the ministry work effectively. “When you put the total legacy debts together, the payment we have been able to meet will be in the range of about 15 to 20 percent. What is happening is that because the weaknesses that are already within the system, each time we make the payment, the debt keeps on accumulating. Government shall pursue the process until our target has been achieved”, the Minister said. However, some energy sector players have asserted that the CWM could yield only minimal results if the government fails to fully resource the ECG to improve on its revenue collection.